Looking for home security system for your home may seem like a daunting task. Aside from thinking about installation problems you also have to consider all of the additional expenses that it will add to your pocket. There are many different home security systems available in the market but SimpliSafe Home Security promises to be different from the rest. SimpliSafe Home Security has received numerous awards and citations for the service that it provides. This home security system provides great security without requiring you to commit to paying hundreds of dollars per month. SimpliSafe makes home security easy to install and leaves all of the decisions about your security up to you. True to its name SimpliSafe Home Security will give you what it promises without burning a hole in your pocket every month. 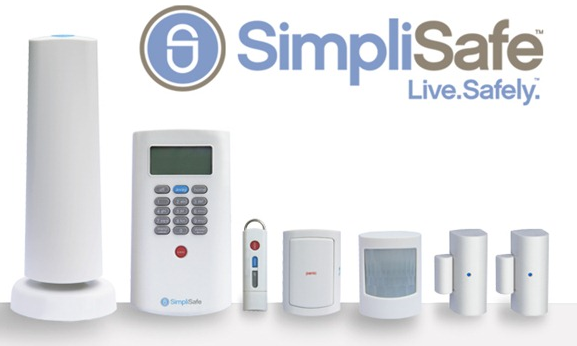 SimpliSafe Home Security puts simplicity to security. One of the best qualities of this home security system is that it has a “Duress Code.” This feature means that you can program it to your security system so that you can automatically notify the police without alarming your intruder. This means that you can shut off your system at the same time notifying the local authorities. Since SimpliSafe is a DIY home security system you get to personalize your home security based on what you need and what you can afford. A user can simply choose from the five different packages that Simplisafe can offer, from the basic to the ultimate offering. Another plus for the SimpliSafe Security System is that it provides its users big savings. First is from allowing you to choose the package that you will use for your home. Second is that it has no contracts and the monthly monitoring is cheaper as compared to other home security systems. It also has a money back guarantee which can be useful for you if you want to return it in exchange for another. At first glance the SimpliSafe Home Security System looks dated. 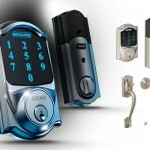 If you want an updated look for your security system, then this is not the one for you. Aside from the overall look and feel, SimpliSafe does not provide any security cameras included in its packages as well. This means that you are limited to sensors and you would not be able to keep an eye on your home. Although the SimpliSafe Home Security System can be accessed via your smart devices, such as your mobile phone or even your computer, you will have to shell out an initial amount. This will cost you from $19.99 to $24.99 depending on the functionalities you want. SimpliSafe Home Security is a good investment for homeowners. This is perfect for those who are seeking for a no-fuss security system with all the basics covered without having to spend too much. Even though it has no camera included in its packages it has one big advantage, it’s the “Duress Code” which is very useful for any consumer. SimpliSafe provides you the security you need for your home without requiring you to spend too much money every month.